A variety of factors can contribute to septic system issues. If you’re able to catch those issues early on, you can potentially save money by dealing with them before they become major problems. When you locate an issue, you’ll need the help of a professional sanitation service like Johnny’s A-1 Sanitation in Trenton, OH. However, you need to be able to spot the warning signs first. Here are three important signs that you might need septic repairs. If your septic system has a blockage, it could lead to backups near your drain or the tank itself. That means you’ll likely notice a foul odor coming from those areas or your bathtub and sink drains. If a thorough cleaning doesn’t get rid of the smell, call a septic professional. A partial blockage or full tank could also lead to slow drainage in your sinks or shower. If you notice that the water is draining slowly and have found that drain unclogging products and plungers haven’t worked, call in a septic repair expert. You might also notice some signs of septic failure outdoors. For example, keep an eye out for pools of water near the tank, which could indicate a backup or overflow in the system. If you don’t see standing water, but the grass is extra green, there could also be a leak that’s fertilizing patches of the lawn. These are just a few of the things that could go wrong if your septic system isn’t in great working order. That’s why you need a professional sanitation service like Johnny’s A-1 Sanitation to help you find the cause of the problem and resolve it. They proudly serve Trenton and the surrounding areas. 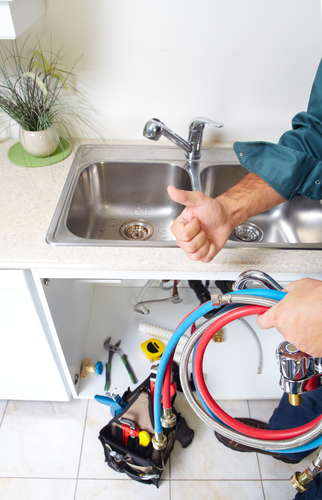 In addition to septic repairs, the company also offers septic inspection, drain cleaning, and porta-potty rentals. If you need any of these services, call them at (513) 423-9382 or online.